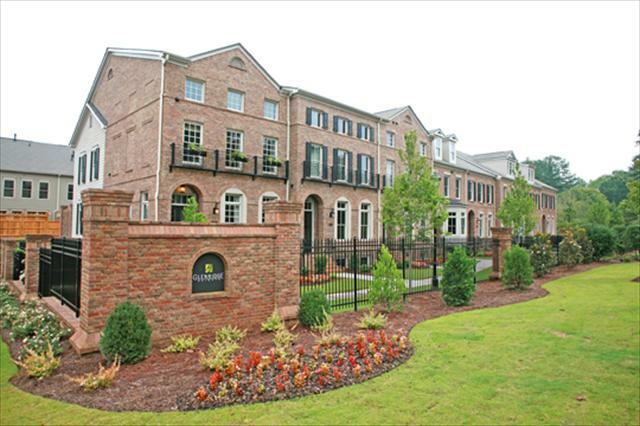 Glenridge Heights is a gated, swim community of townhomes in Sandy Springs, inside I-285. When available, Glenridge Heights has for sale 2-4-story townhomes with 3-4 bedrooms, 2 car garages. Some townhomes with the master bedroom on the main level. Glenridge Heights was started 2007 by Williamscraft Homes (3-4 story plans), & later finished out by Pulte Homes (2-story plans) in 2011-2012. Fee simple, brick construction (low maintenance). Glenridge Heights townhomes are located in a sought after Glenridge location with easy access to GA400, I-285, Buckhead, Sandy Springs, Northside Hospital & St. Josephs Hospital. The central location of Glenridge Heights allows for reasonable access to I-75 & I-85 as well.